1. All brand offers and coupon codes are valid from 20 April 2018 – 21 April 2018. All coupon codes are valid once per LiveUp members only and have limited number of redemptions. Coupon codes exclude LiveUp members on trial. 2. 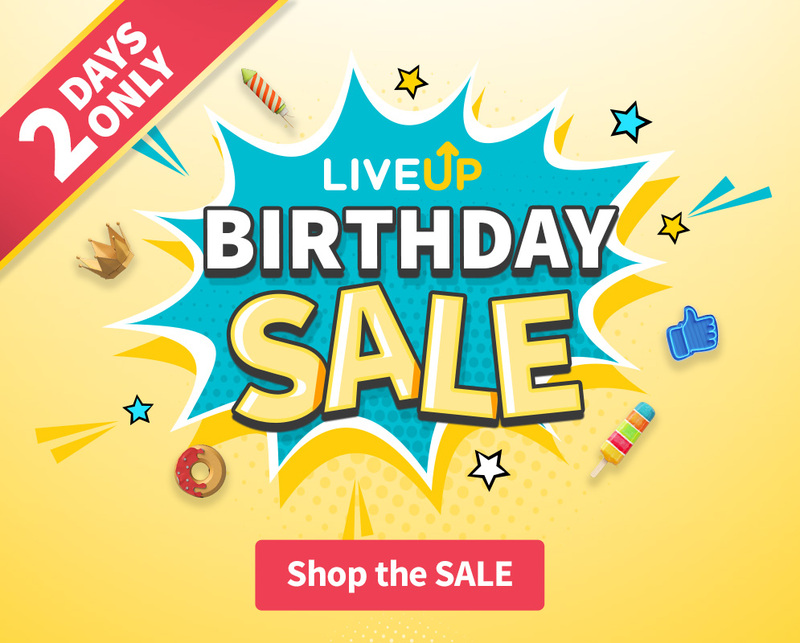 RedMart coupon code 18LIVEUP is valid for new RedMart customers who sign up for LiveUp, $18 off minimum $40 spend. Limited redemptions available, one redemption per household. 3. Kimberly-Clark coupon code KC5LU is valid for purchase on Kimberly-Clark products only, $5 off minimum $35 spend. For paid LiveUp members only (members who have complete trial period and has paid for full LiveUp membership). Limited to first 150 redemptions, one redemption per household. 4. Pampers coupon code PAM10LU is valid for purchase on Pampers products only, $10 off minimum $80 spend. For paid LiveUp members only (members who have complete trial period and has paid for full LiveUp membership). Limited to first 200 redemptions, one redemption per household. 5. P&G coupon code PG5LU is valid for purchase on P&G products only, $5 off minimum $30 spend. For paid LiveUp members only (members who have complete trial period and has paid for full LiveUp membership). Limited to first 200 redemptions, one redemption per household. 6. Colgate-Palmolive coupon code CP5LU is valid for purchase on Colgate-Palmolive products only, $5 off minimum $35 spend. For paid LiveUp members only (members who have complete trial period and has paid for full LiveUp membership). Limited to first 300 redemptions, one redemption per household. 7. Unilever coupon code UL10LU is valid for purchase on Unilever products only, $10 off minimum $80 spend. For paid LiveUp members only (members who have complete trial period and has paid for full LiveUp membership). Limited to first 300 redemptions, one redemption per household.